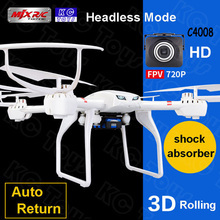 Q: Does this quadcopter come with camera? 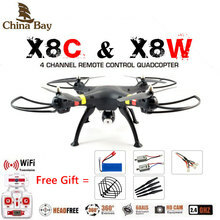 A: This quadcopter has two version: X5 and X5C. Only X5C comes with a camera. 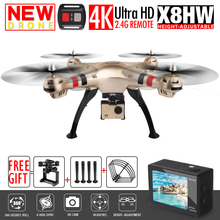 Can add 720p HD Camera(optional). 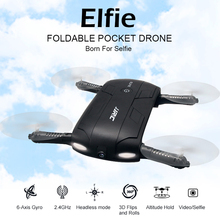 You can take pictures or record video while you are flying the Quadcopter on the sky. 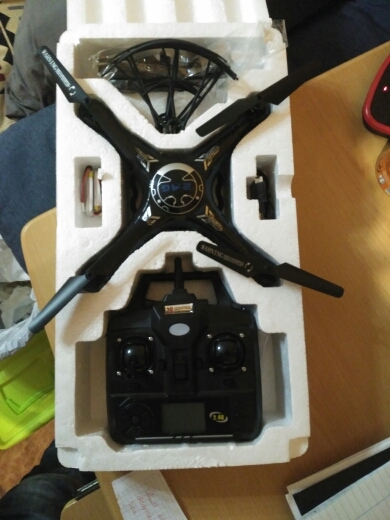 Has built-in 6 Axis gyroscope, it makes the quadcopter has strong anti-wind ability, can fly more stable, this feature can help you to take a more clear picture. 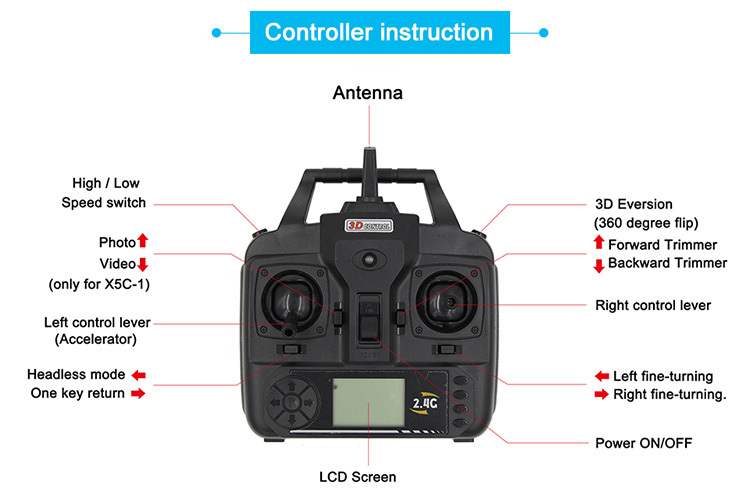 The 6-axis system allows the quad to be hand launched. 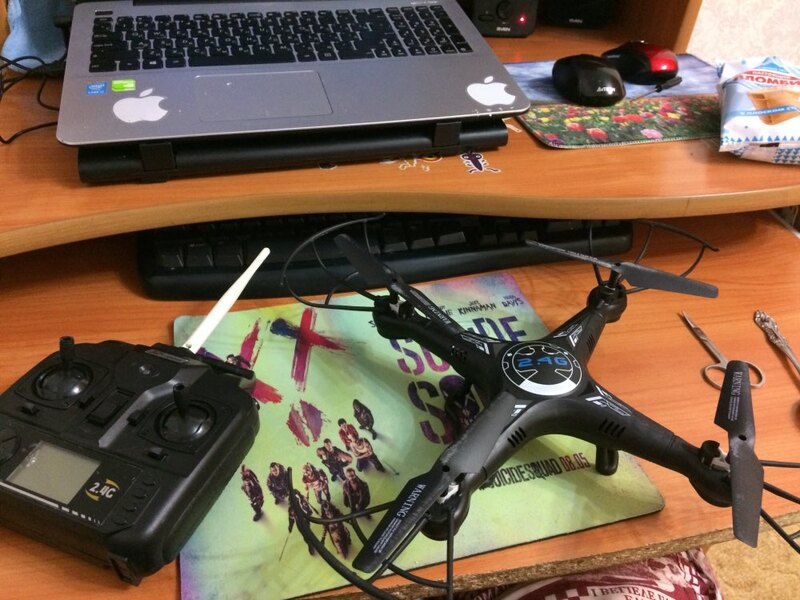 2.4 technology adopted for anti-interference.even more than one quadcopter is flying at the same time, they will not interfere with each other. One key auto return mode. 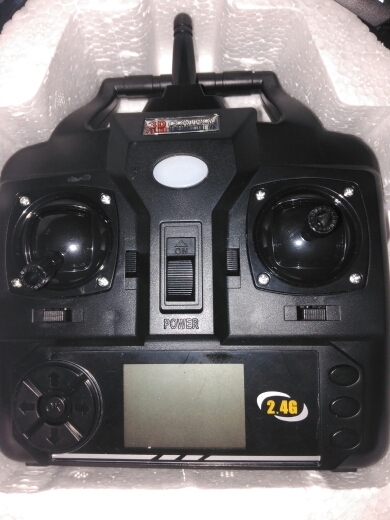 This quadcopter has built-in positioning system, press the auto-return button, the quadcopter will automatically fly back to you. 3D flip. 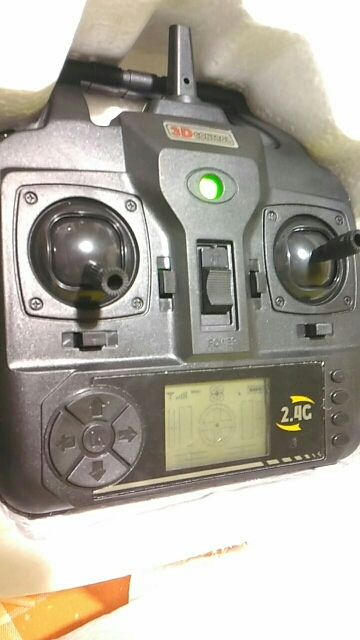 This quadcopter can take 360 degree flip. I liked the camera does not have. Thanks. 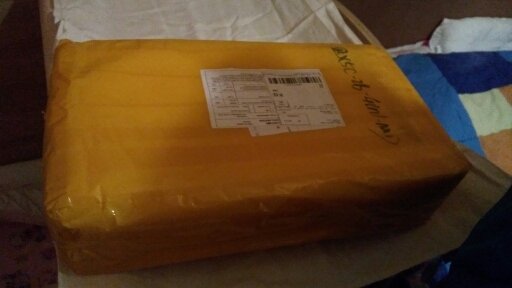 goods received all ok! Thank you! 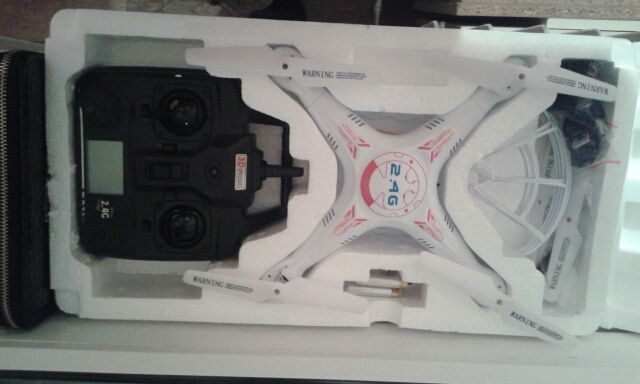 parcel arrived very quickly (2 weeks). cool thing, the child is happy. thank you store! 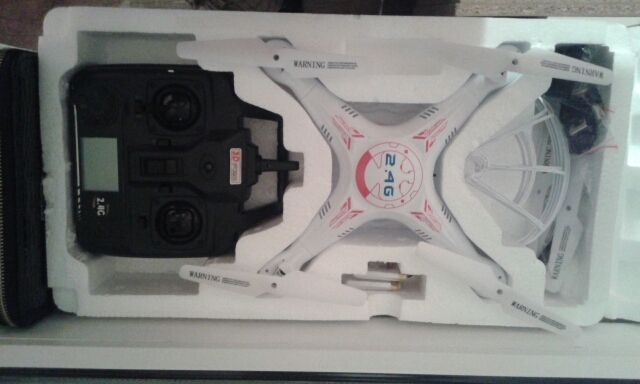 Love the drone, works awesome! eu só acho que os produtos deveriam ser melhor destacados. 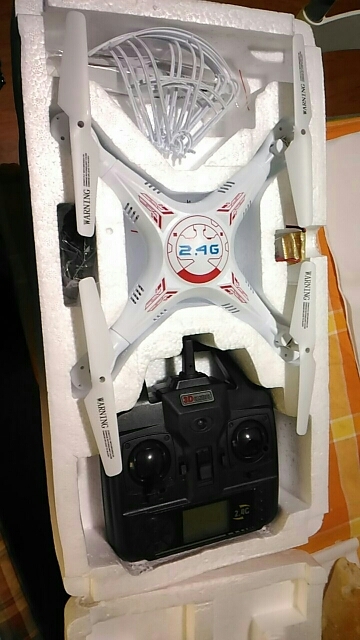 pois comprei um drone pensando que vinha com câmera e não veio. aconselho destacar melhor este detalhe. 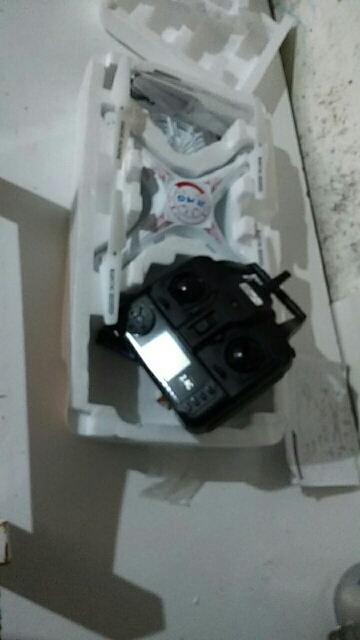 Obrigado- Recebi hoje, está tudo correto. Доставка в срок, надежный бокс, комплектация соответствует заказу, экран ПДУ не работает, дрон рабочий, протестировал в условиях квартиры, надежный, не разваливается при падении, спасибо! отлично летает, ничего не ломается, как ни бейся. Порядок включения: сначала коптер, потом пульт. nice, but i had to change the motor after a week :( you should buy welder too. Product is as describted. 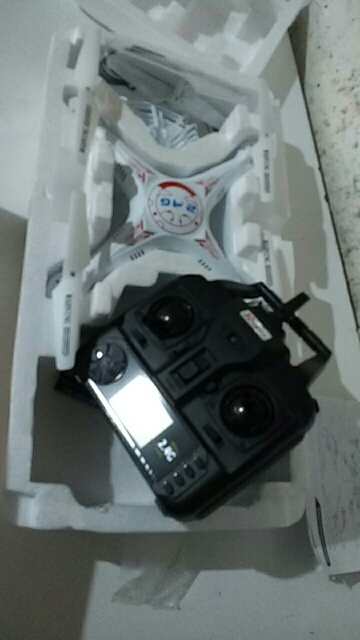 I am satisfied with the product. 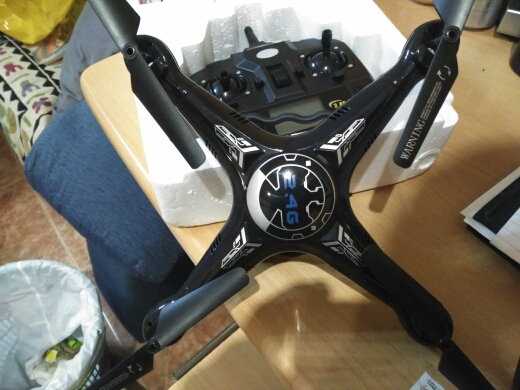 Muy bueno, funciona muy bien y tan solo en ¡10 días! muchas gracias!!! все супер, сыну очень нравится.